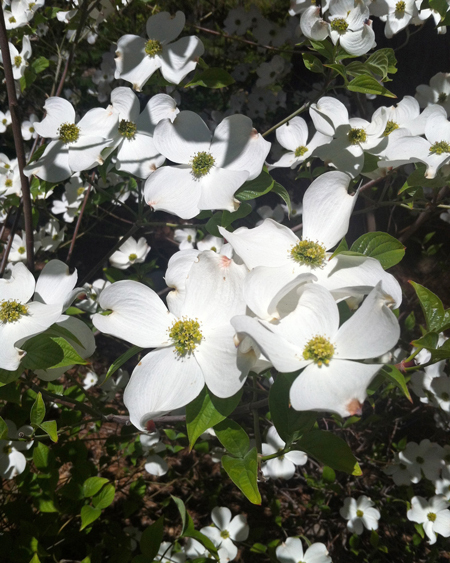 This stunning species is the Missouri State Tree, and is among the contenders for the most beautiful of native American flowering trees. This small deciduous tree can grow up to 30 feet tall with a low-branching, broadly pyramidal shape with a flat-topped growth habit and a layered appearance. The flowers are actually tiny, insignificant yellowish-green clusters that are surrounded by four large, white bracts that lie flat when open- which results in the appearance of large, single, white flowers. Either way- they are gorgeous, and a favorite amongst Americans from both sides of the country. In autumn, the oval, dark green leaves turn an attractive scarlet red, and bright red fruits develop in fall and are poisonous to humans but loved by birds. 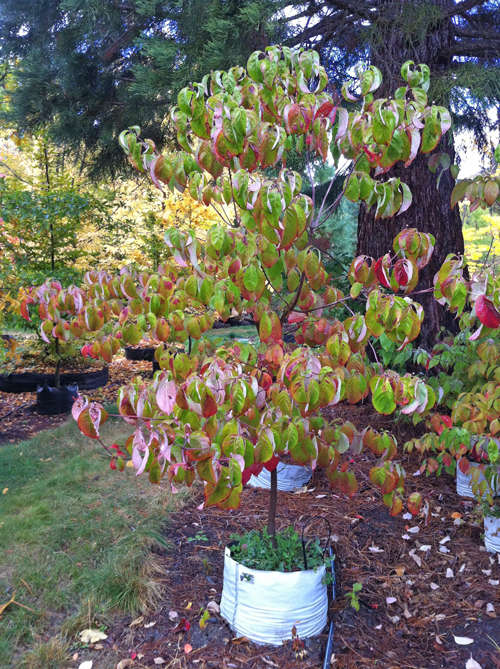 Plant these trees in average, medium moisture, well-drained soil in full sun to part shade. Organically rich, acidic soils will benefit them, and providing a 4 to 6 inch layer of mulch will help keep the roots cool and moist in the summer. 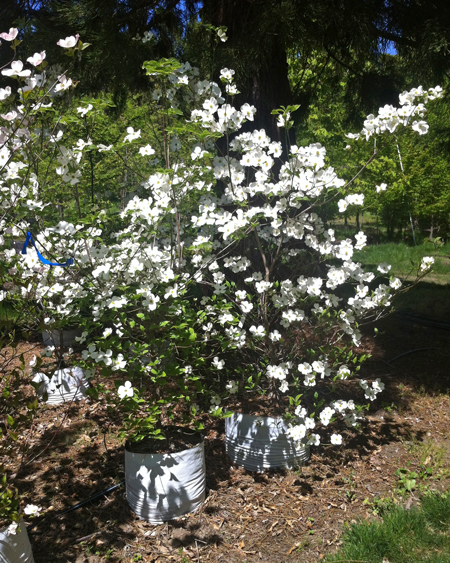 Use this tree as a specimen, in small groupings on residential property around homes, near patios, or in lawns.